The black-metallic KX-TGF38M system makes communication more versatile for home and home office. Link2Cell syncs up to two smartphones to make and take cell calls from handsets. 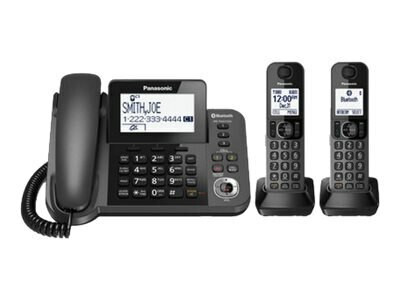 Dedicated Call Block buttons on the base unit and handsets let you one-touch register up to 250 unwanted numbers.